With The Solitary House, award-winning author Lynn Shepherd introduced readers to Charles Maddox, a brilliant private detective plying his trade on the gaslit streets of Dickensian London. Now, in this mesmerizing new novel of historical suspense, a mystery strikes disturbingly close to home—and draws Maddox into a world of literary legends, tormented souls, and a legacy of terrible secrets. Steeped in finely wrought Victorian atmosphere, and rife with eye-opening historical revelations, A Fatal Likeness carries the reader ever deeper into a darkly magnetic tale of love and madness as utterly harrowing and heartbreaking as it is undeniably human. 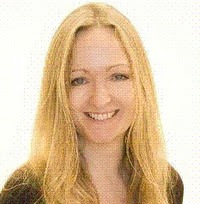 Lynn Shepherd studied English at Oxford in the 1980s, and got a doctorate degree there in 2006. She always wanted to be a writer and in 2000 she went freelance to see if it was possible to make her dream into reality. Ten years later her dream finally comes true. Murder at Mansfield Park was her first novel. She describes her genre as 'literary mystery', and in 2012 she since published Tom All-Alone's / The Solitary House, which is inspired by Charles Dickens' Bleak House. 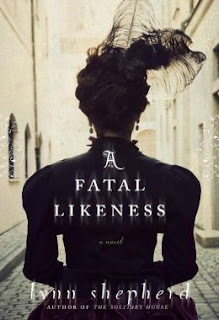 Her third book A Treacherous Likeness explores the dark secrets of the poet Percy Bysshe Shelley and his wife Mary, the author of Frankenstein. It was published in the UK in February 2013, and in the US in August under the title A Fatal Likeness. How I enjoyed this novel by Ms Shepherd! Shelley is one of my favorite poets, I have to admit, but Mary Shelley's "Frankenstein" has always made me so happy as a feminist more than his poetry! This novel brings them both together in a different way. It was a thoroughly entertaining story with lots of twists that kept me glued to the pages and returning to the book when others were calling to me this week. The plot is suspenseful, but not altogether easy to follow. One must keep on her toes. I found it challenging to figure out exactly what the puzzle was that the main character was trying to unravel. At times it seemed it was about the conflict between Mary Shelley and her family vrs. her step-sister Claire over papers, and at others it seemed deeper than that, plumbing the depths of Shelley's secrets, as well. Eventually, as things began to take on more light, the story picked up for me and I was hooked. Lynn Shepherd's writing style is mesmerizing. I felt much like I was reading a Sherlock Holmes novel. The characters were fully realized with Shelley himself being starkly drawn and infinitely interesting. Gothic in its content, there's always a sort of cloud of doom and dread hanging over the story which makes it ghostly. The very mysterious Claire Clairmont became my favorite character with her grief-stricken and gloomy ways in this mix. A powerful historically inspired novel that's sure to keep you on the edge of your seat, this is one you have to read if you're a fan of both Percy Bysshe and Mary Shelley...one or the other. It's a great novel of intrigue! This looks great and I love the cover! Everybody loves a good story about a private investigator. It also sounds like there is no shortage of interesting and deep characters. The best fiction is believable and realistic in both its triumphs and lifelike failures. This novel, based on the review anyway, seems like it has a fitting and intriguing theme and setting.